Vietnam’s labor productivity remains among the lowest in its neighborhood and the gap with regional peers is widening, a captain of industry says. 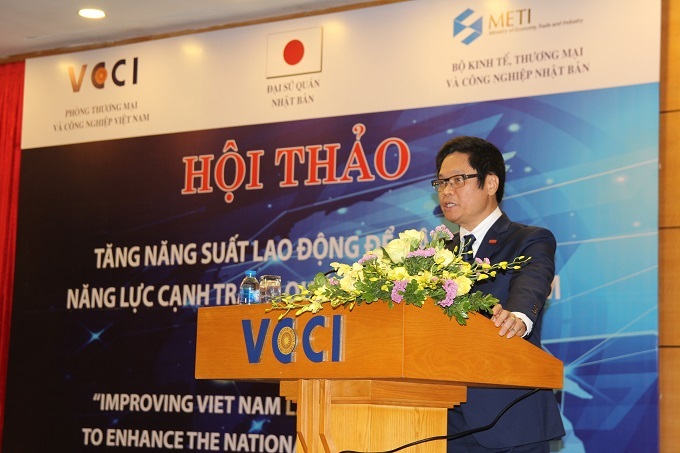 Vu Tien Loc, chairman of the Vietnam Chamber of Commerce and Industry (VCCI), said Vietnam's labor productivity in 2017 was $10,232, equivalent to 7.2 percent of Singapore’s, 18.4 percent of Malaysia’s, 36.2 percent of Thailand’s, 43 percent of Indonesia’s and 55 percent of the Philippines’. 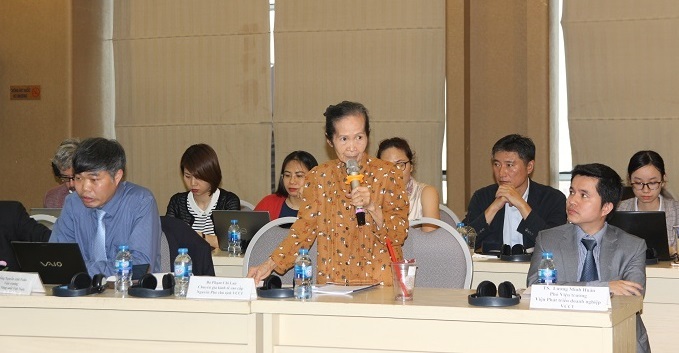 Besides, the gap is continuing to widen, creating a challenge to the Vietnamese economy, Loc told a workshop on "Improving Vietnam labor productivity to enhance national competitiveness" in Hanoi last Thursday. Vu Tien Loc, chairman of the VCCI at the workshop. The poor performance is clearly shown in the 2018 Vietnamese Labour Productivity Report by the Vietnam Institute for Economic and Policy Research (VEPR) using data from 1991 to 2015. Nguyen Duc Thanh, founder and director of the VEPR and the author of the report, said the increase in Vietnam’s labor productivity was modest and inconsistent. "The rate only increased by three times in 25 years." According to the study, construction and industry had the highest productivity followed by services. Agriculture, forestry and fishing ranked lowest. In industry, the state-owned and domestic private sectors showed a decline in productivity while the foreign-invested sector improved at modest rates. "Labor productivity is not only measured by human resources but also depends on the working environment," Thanh said. Experts agreed that Vietnamese enterprises have not invested adequately in facilities and technology, thus failing to offer laborers a conducive environment to promote its competence. Economist Pham Chi Lan noted that the difficulty in competitiveness and accessing finance and other resources has resulted in low labor productivity in private domestic companies, especially small and medium-sized. She also blamed the weak enforcement of regulations for failing to put enough effort to enhance labor productivity in Vietnam. Economist Pham Chi Lan highlights Vietnam's poor labor productivity problem. Prof Kenichi Ohno of the National Graduate Institute for Policy Studies, Tokyo, said Vietnam has adopted some labor productivity methods from Japan such as kaizen and 5S but on a minor scale. Kazen is the Japanese word for "improvement". In business, kaizen refers to activities that continuously improve all functions and involve all employees from the CEO to the assembly line workers. 5S is a workplace organization method that uses a list of five Japanese words which are translated as "Sort", "Set in order", "Shine", "Standardize" and "Sustain", describing how to organize a work space for efficiency and effectiveness. Ohno stressed the important role of the government and its strong commitment to enhancing productivity. VCCI chairman Loc suggested the national productivity movement should be spread to every business and organization to increase awareness. He recommended giving an annual productivity award to 100 enterprises with the highest labor productivity. Loc also stressed the importance of reforming education and training to improve labor quality.